Lector readings for upcoming weeks are found below. As a lector, you will be reading from the bible at the pulpit. The bible will be opened to your reading and the reading will be marked with post-it notes. 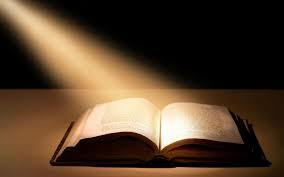 If you are reading the first lesson, please make sure to turn the page, if necessary, for the second lector. If you don’t know how to pronounce some biblical names or places, there are two approaches that we take. One approach is to use an online pronunciation guide such as The Bible Workshop. This site allows you to find the word alphabetically. When you click the word it will pronounce the word for you through your computer speakers. The second approach we take? Just pronounce it anyway that makes sense to you. Nobody else is likely to know what is right or what is wrong, especially if you say it with confidence. Don’t let biblical names prevent you from focusing on the message and the emotion of the script.